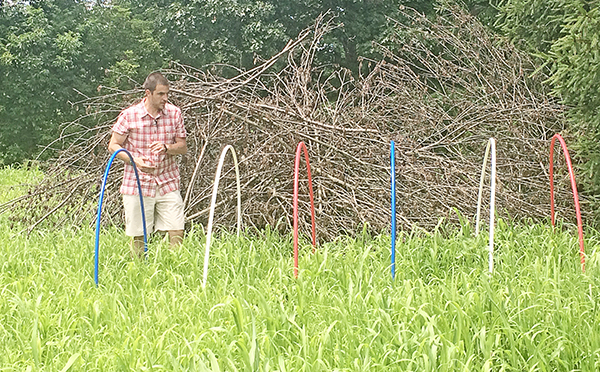 Can a pen-raised quail make it in the wild? If you’ve had the privilege to hunt Bobwhite over a few seasons in areas where they still reside, you likely know that year over year you will find birds in the exact same locations. Read old stories from some of the great quail hunting authors and you’ll notice the coveys have become so consistent that they’ve been given names. There’s obviously a reason for this. Bobwhite Quail imprint on a home territory. Their range is small which also contributes to relatively lengthy periods to expand into new areas. But when you take this knowledge acquired from hunting and apply it to conservation it can make a number of things really start to add up. I believe this is the key to why most quail reintroduction and relocation projects lack success. Transporting a Bobwhite away from its home turf is like dropping it on the face of the moon. The learning curve to acclimate is so great that before it can identify cover, food, water and threats it becomes hawk bait. The traditional wisdom is that you can’t take a pen-raised bird, release it in the wild and have it survive long term – it’s been too stupefied by domestication to have a clue. But can survival instincts be revived in captive birds? We don’t have the resources or permissions to trap wild birds and relocate them. But we can take newly hatched birds and try to educate them. As with most offspring, the young are at highest risk. Bobwhite fledge in around a week’s time and become flight capable in as little a two weeks. 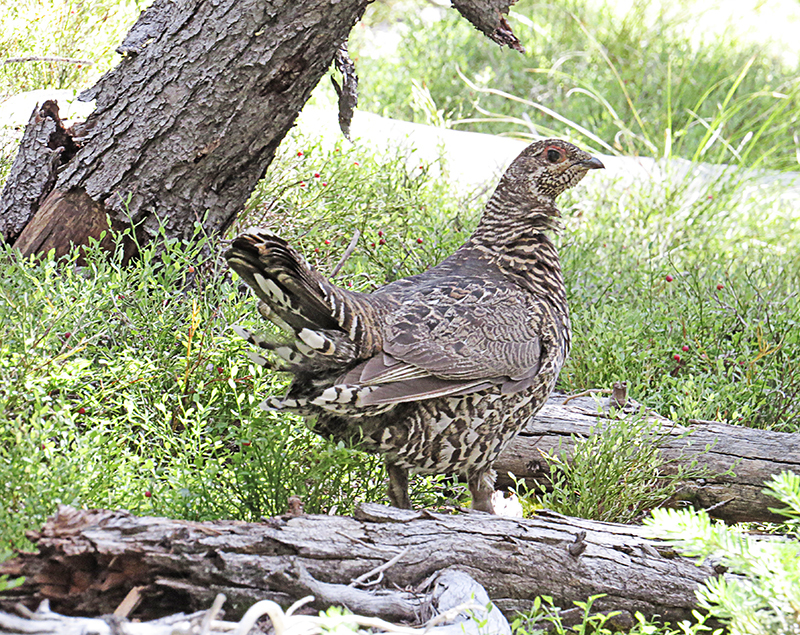 But most quail take six weeks or more to become true flyers. By most accounts Bobwhite annual mortality rates can approach 80%. The bulk of this is due to exposure to the elements or predation before young birds can manage strong flight. Needless to say, the learning curve for hatchlings is fairly steep. Juvenile quail make a tasty snack for just about anything with teeth or talon. The way I see it, we’ve got to train our birds three things that the average pen-raised bird is lacking. First, we want our birds to imprint on a specific area. As you may have read in Backyard Bobwhite: Part 1, we’re providing everything the birds need in a condensed space (food, cover, water). We know that the birds will explore outside of this location. The hope is they also learn to return to the relative safety it offers, much like free-ranging chickens returning to a coop nightly to roost. 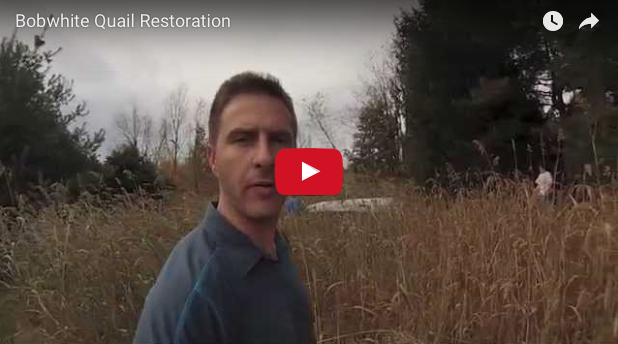 If our quail return to the brush piles and food plot which should grow thick by this fall, it offers them the best chance of overnight survival. We’re placing our quail enclosure in the heart of the area we want our birds to consider home base, adjacent to one of our massive brush piles. Most pens lack cover. In order for our birds to survive they cannot feel comfortable standing in the clear for extended time in an open enclosure. Silent death from above awaits any gallinaceous bird willing to frolic in the open for too long. Our pen will be on the ground and will have the same cover and feed plants growing through it that we want the birds to become accustomed to. We also plan to incorporate some brush resting on and within the pen. We want these chicks to feel as if they are growing up in the shelter of a thicket. We know first hand from raising chickens that hawks will attempt to take birds even when they are within pens. Netting will provide protection from above and allow the quail to learn of the pending raptor threats without initially suffering the losses that accompany that same lesson in the wild. Lastly, we don’t want our birds looking to feeders as a food source once we release them. These birds need to know how to forage. We’ll be broadcasting their food on the ground within the pen and incorporating the same seed and grains that they will need to find in the wild. 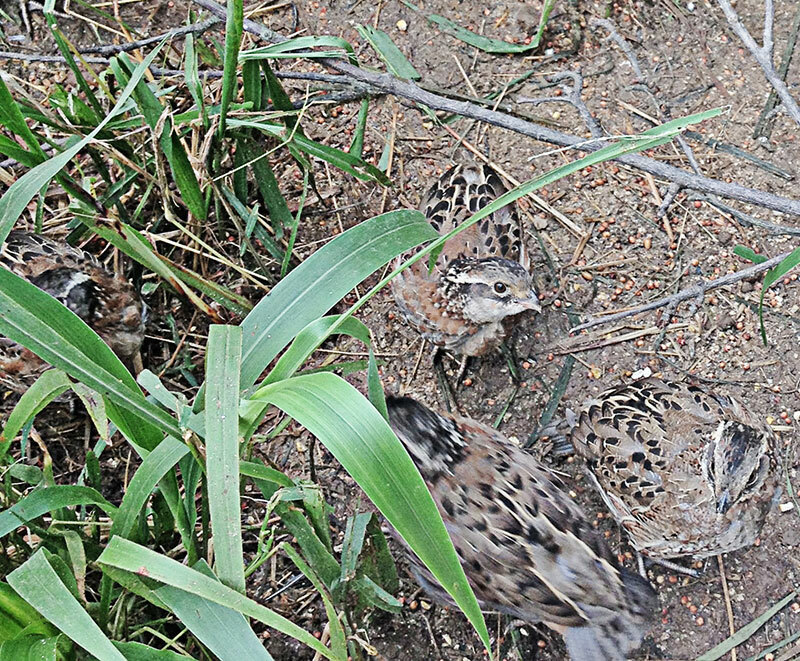 Over the first few weeks of their life a Bobwhite’s primary diet in the wild is insects. Our ground based enclosure will allow foraging for insects but we’ll also look for a source of insects to supplement our young quails’ high protein requirements. Click here to see the video of our simple, inexpensive quail pen come together. Total expenses were less than $150. If successful we hope to be able to reassemble and reuse it in other locations in the future. We’re bird hunters armed with knowledge from afield trying to translate it to raising birds that can survive a rough Ohio winter. It’s an experiment. Parts of this plan contradict studies by much smarter individuals. Most experts believe to manage for quail you need a minimum of 20-40 acres with multiple plantings and dedicated areas for every stage of their life cycle. Our hope is to utilize a much smaller area and allow the birds to provide for themselves while we provide the missing element that caused their initial decline, a winter food source close to protective cover. It remains to be seen if we’re correct. But we’re excited to try something different, utilizing a fresh perspective. It’s time to start thinking differently for quail and many other species’ conservation. 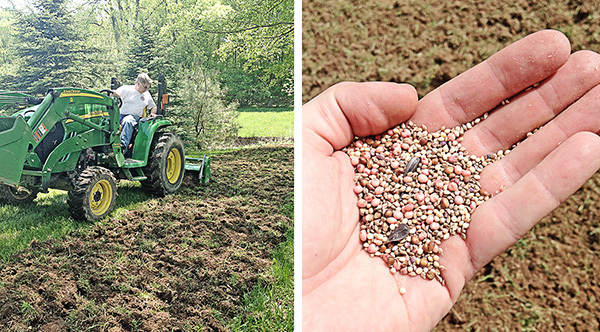 Your food plot looks great! Mine is growing but has a lot of grass in it. I need to prep it better next year. Keep up the good work. Because we hand seeded it looks a bit crowded, so will be interested to see how it turns out in the fall. But the rain has helped and looks like it will be thick. Pen raised birds can a do make it. I release 1,000 + banded birds annually on 900 acres. We have carry over to following year. Early release of birds at 6 to 8 weeks seems to improve the odds. Thanks for the info John. What part of the country are you releasing in? And do you know your success rate of birds? We’re certainly hopeful and have a few more tricks up our sleeves. Getting our birds is the next step, but have to wait until the festivities of the 4th have ended first. Or instead of wasting time and money on something that probably won’t work, you could spend that same money and time on creating quality habitat that will attract birds and keep them alive. Zac, if you had read the previous article, Part 1, you likely would have noticed that we have created the habitat. Also if you would have read that article you would have noted that wild quail populations in this part of the state no longer exist because they were killed off in the blizzard of ’78 and have not been able to make a comeback. We don’t consider it a waste of money or time to try bringing Bobwhite back to a part of the state where I remember seeing them as a boy. It would likely take 150 years of ideal conditions for Bobwhite to naturally spread from the few counties that still have decent populations to our part of the state — their range tends to grow around a half-mile a year. I doubt I’ll still be around then. Seems like it’s a better idea to take matters into our own hands.